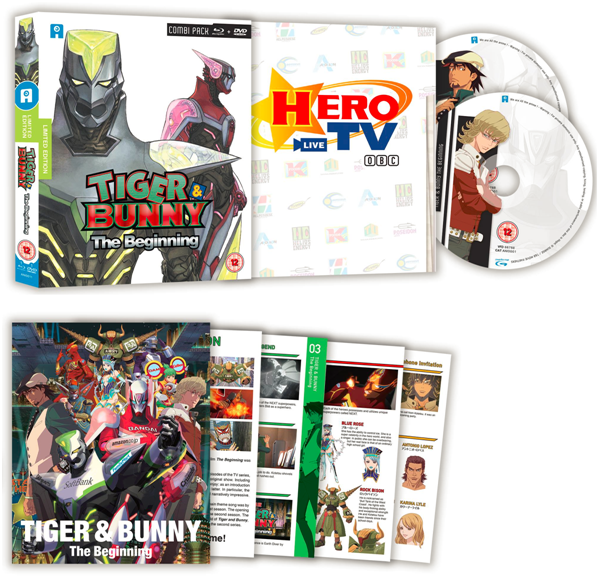 Tiger & Bunny | Tsundere Britannica - UK Anime/Game News and Features! 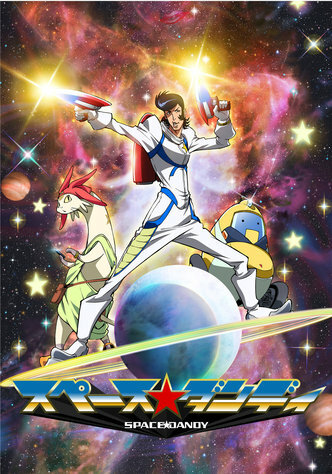 The Space Dandy science fiction comedy about a dandy guy in space might have only just had its worldwide premiere this weekend just gone, but the huge international effort that saw the latest series from Studio BONES (Fullmetal Alchemist, Soul Eater) and Shinichiro Watanabe (Cowboy Bebop, Kids on the Slope) premiere in North America’s Toonami block before its Tokyo MX debut has really ramped the speed of the international release the series to warp speed. UK Anime retailer anime-on-line has updated its website with the latest confirmed release dates from distributor Anime Limited, which includes complete DVD and Blu-Ray collections for Space Dandy, which are slated for release on 24th November – that’s right, an anime that has only just started airing already has a UK release date announced. The standalone DVD release will include 4 artcards, the movie and the Parallel Works, while a separate release of them on blu-ray is being considered. Anime Limited have also announced that they will be launching a Kickstarter next week for both the United Kingdom and United States for a title that fell through the cracks. Very interesting! Also, Escaflowne will be receiving an Ultimate Edition in 2014 as well. Back in September 2012, Tiger & Bunny: The Beginning, the first feature film and partial recap of Sunrise’s popular superhero anime, opened in Japanese cinemas and had a special UK screening at the BFI Southbank in London (which I attended). The film was absolutely brilliant – while retelling the story of the early episodes of the TV series, the movie had numerous new scenes that helped really flesh out the world of Sternbild and its heroes – I saw the movie with my older brother (who hadn’t seen the original series) and he loved it too. I was excited when Anime Limited announced that they had obtained the home video rights to the movie, especially due to the relative absence in of Kazé UK (the licensor of the original TV anime) from the UK market. While initially scheduled for release this year, the movie had to unfortunately be delayed – but today Anime Limited took to Facebook to post the freshly approved pack-shots of the film, as well as to confirm that Tiger & Bunny: The Beginning will be released as a DVD/BD combi-pack in the United Kingdom before the end of January 2014! While this film is a recap of the first few episodes (made plump and even more delicious with new additions) the next movie, Tiger & Bunny: The Rising is a sequel to the television series and will open in Japanese cinemas in February 2014. I personally own all of KazéUK’s Tiger & Bunny releases (which are beautiful digi-packs) and will no doubt be picking up a copy of this movie when it is released! Also, Dragon Kid is the best hero. Sorry, but it’s absolute fact. Not up for debate =3. In April 2011, Viz Media Europe opened Anime On Demand, a streaming website dedicated to simulcasting a selection of Japanese anime to the United Kingdom and Ireland as they aired in Japan. Anime On Demand was responsible for giving British and Irish fans their first look at hit titles like Steins;Gate, Tiger & Bunny and some of my personal favourites like Love, Chunibyo & Other Delusions (which is receiving a second season next month) and Tamako Market. In October, Viz Media Europe and Sony teamed up to launch Animax UK, a new anime streaming service for the United Kingdom. When many people saw that a lot of Anime On Demand’s back-catalogue was available on the service and reflected on the inactivity of Anime On Demand, it became clear – but now it’s official. Today, Anime On Demand have announced that they have officially been replaced by Animax UK. Existing Anime On Demand users who use the discount code AOD-NOW-ANIMAX can get a 2 week free trial and 50% off their first month of the Animax service. Animax UK offers not only TV anime catalogue titles like Bleach, Black Lagoon and Death Note, but also movies such as Berserk and Mardock Scramble – as well as simulcast titles including Beyond the Boundary and Coppelion! If you want to give Animax a try, then why not pop over to their website? 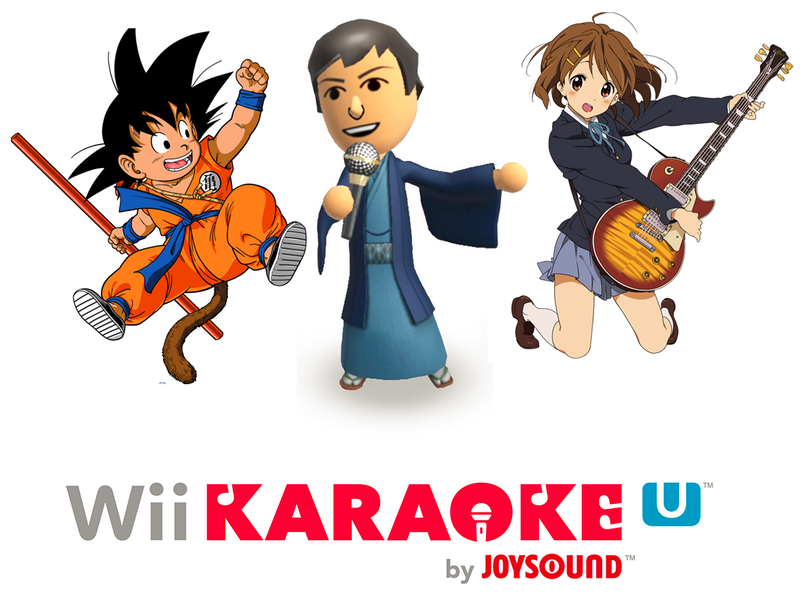 Wii U Karaoke adds Japanese songs, including some anime themes.